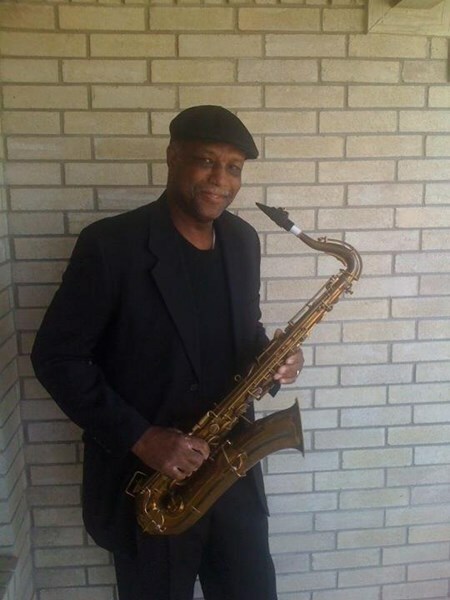 I'm Mel Davis solo performer vocalist, saxophonist, harmonica musician with 60 years of playing blues, r&b, and jazz. I've performed at weddings, corporate events, & private parties and in concerts and festivals with my band the blues Specialists. My genres includes music which cover years from 30's to present. My act is accompanied by computer/iPad backing which includes piano, guitar, organ, bass and drums. With my thirty years of programming skills I've programmed both computer and iPad/iPhone sources to produce realist backings. A demo of my music can be heard on their site. Scroll to left for music demo. If desired I can be accompanied by real piano/guitar, bass, and drums. Unfortunately Mel arrived late to the event and was not ready setting up by the time the event started. Then he had some computer issues so stopped playing for 20 min to go to his car to grab his iPad. Mel is however a talented artist and was very sweet but there were to many issues for it to be enjoyable for what I paid. CORRECTION! Was not late. In 65 years of performing have never been late to a gig (ie., military, government, private businesses, etc) all over the world. Unfortunately there was an equipment failure that caused performance to start 15 minutes after start time. Before any engagement I always tell customers instruct me on their proceedings. Please note JustMel will also travel to Manchaca, Del Valle, Buda, Kyle, Cedar Creek, Dale, Manor, Mc Neil, Pflugerville, Driftwood, Lockhart, Maxwell, Round Rock, Cedar Park, Elgin, Red Rock, San Marcos, Spicewood, Leander, Bastrop, Dripping Springs, Wimberley, Martindale, Coupland, Staples, Fentress, Hutto, Mc Dade, Prairie Lea, Rosanky.